Opening Ceremony of Civil Society Support Programme, implemented by the Ministry of Foreign Affairs Directorate for EU Affairs under the civil society sub-sector of Instrument for Pre-Accession (IPA) was held on 8th January 2019 in Ankara with the participation of Ambassador Faruk Kaymakcı, Deputy Minister of Foreign Affairs and Director for European Union Affairs, Ambassador Christian Berger, Head of Delegation of the European Union to Turkey, and Mr. Mehmet Selim Uslu, Director of Central Finance and Contracts Unit. Deputy Minister of Foreign Affairs and Director for EU Affairs Ambassador Faruk Kaymakcı delivered a speech at the opening event. 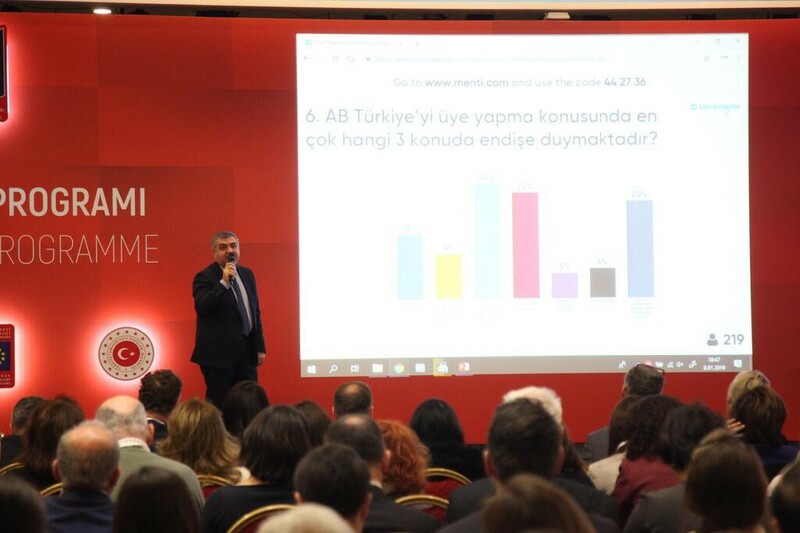 During his speech, Ambassador Kaymakcı underlined the importance of civil society in Turkey’s EU accession process. Grant awarded civil society organisations found chance to come together with public and relevant institutions. In the program, success stories of previous programmes were shared. The Civil Society Support Programme-I is implemented in line with the 2014 Civil Society Action Document under IPA. The programme aims to strengthen effective participation of CSOs to decision-making mechanisms, to enhance the cooperation between the civil society and public sectors, to improve the administrative, advocacy and communication capacities of CSOs. Within the Civil Society Support Programme, there are two grant schemes: “Partnerships and Networks” and “Grassroots Civil Society Organisations”. “Grant Scheme for Partnerships and Networks”, which has a total budget of approximately 4.300.000 Euros, will support actions of 10 CSOs across Turkey aiming to create partnerships on various themes. “Grant Scheme for Grassroots Civil Society Organizations”, which has a total budget of approximately 2.100.000 Euros, will support activities of 38 Grassroots CSOs from 15 provinces of Turkey. The Grant Scheme aims to improve administrative capacities, lobbying and advocacy skills and to develop communication skills of the Grassroots CSOs.